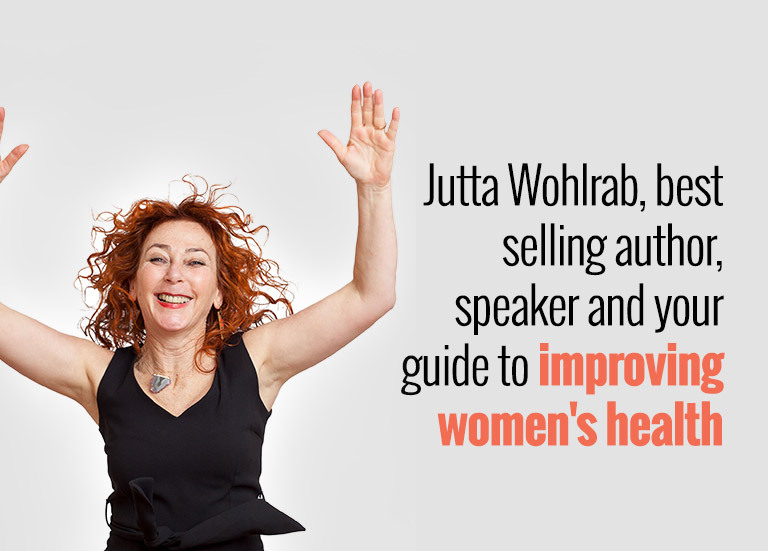 Jutta Wohlrab is a best selling author, speaker, trainer and expert on women’s health. 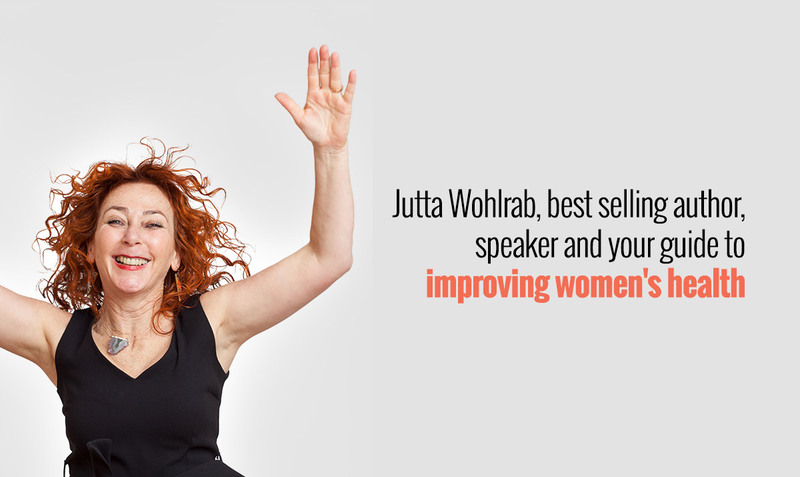 She has directly assisted thousand of women around the world, in 3 different continents and continues to do so from her practice in Berlin, Germany. Would you like to speak to me personally? As I walked across the stage to the microphone, I could feel hundreds of my fellow professionals watching me. I reached the podium and could hear them shuffling uncomfortably as they waited for me to say something. Silence. I took a long deep breath and exhaled slowly, maybe a little too slowly. I looked up and slowly scanned the room, a sea of heads all stared back at me, eyes wide open, still waiting. It was then that I realised something. All those years spent as a midwife assisting thousands of new mums & dads and their beautiful babies, all of those private sessions as an NLP Trainer working with people to overcome their fears and phobias, all of those long days/nights spent teaching Yoga, showing women how to improve their physical health and feel great. All of it and everything I’d worked for had come to this one moment. I began my speech. I had been a midwife my whole working life and to tell you the truth, I loved it, it was (and still is) the perfect career for me and something I will do till my last breath. I was very fortunate, I had got to work at some of the best hospitals and birth centres in the world, in numerous countries on three continents. I loved seeing how other countries treated their ‘mums to be’ and the subject of pregnancy & birth. The practice of female health really is different from country to country, it’s surprising just how varied each country in how it treats it’s women and their physical & mental well being. As a midwife I had helped bring well over 2500 babies into this world, attended numerous births, from hospital births, home births, water births and even an elevator birth, plus every type of birth in between. I have seen it all. Yet in spite of all of my experience I could see that something was seriously wrong in my profession, dangerously wrong! Western medicine is failing women, their partners and more importantly their babies. We like to think that we’ve advanced to a point where we have the best health system in the world. Unfortunately the facts state otherwise. It is beyond the scope of this page to explain in great detail why, but in a nutshell there’s a global crisis in midwifery and it’s getting worse every year. On a global level, year on year the birth intervention rate is going up. Some of the so called richest countries in the western world have some of the worst intervention rates globally! Why? This is mainly due to western hospitals treating every woman’s pregnancy and birth as a standardised procedure, a ‘one size fits all’ type of service. In my time as a midwife I can categorically say that not every pregnancy and birth is the same. Sure there’s many similarities, but every women is unique and so is the birth of her child! 2 – The Individual One! At an individual level, I’m seeing more and more women approaching the so called ‘happiest day of their lives’ totally scared, confused and seriously unprepared, make that totally unprepared! We are losing the true knowledge and understanding of pregnancy, birth and general female health. There’s simply too much conflicting information! With information being so freely available on the web, the internet has now it has become the ‘go to’ place for learning new skills. The web is truly a wonderful thing, but when it comes to your health ‘Dr Google’ is not your friend! I was amazed to see that anyone with a basic understanding of pregnancy and birth is now giving professional advice online on pregnancy, birth and female health!! Some of the advice other people are sharing is downright dangerous! What happened after my speech? How does this story end? This was written for women and their partners so that they can learn how to truly have a safe, confident and happy (yes, happy) pregnancy & birth. All my knowledge, wisdom, tips and tricks have gone into this book, over 30 years! I love receiving emails from all over the world telling me how much people enjoyed reading it and how it helped them with their pregnancy. Surprisingly, I get just as many ‘thank you’ emails from the fathers, which makes me very happy. At the same time I decided to do something about the misinformation that’s on the web. This was because I was sick of seeing poor advice being shared by non qualified teachers. This is a safe, online place for women to learn about pregnancy, birth and female health, taught by myself (a professional, qualified, experienced midwife). How does this story end? Well, that’s up to you! I would love for you to reach out to me and tell me what brought you here.